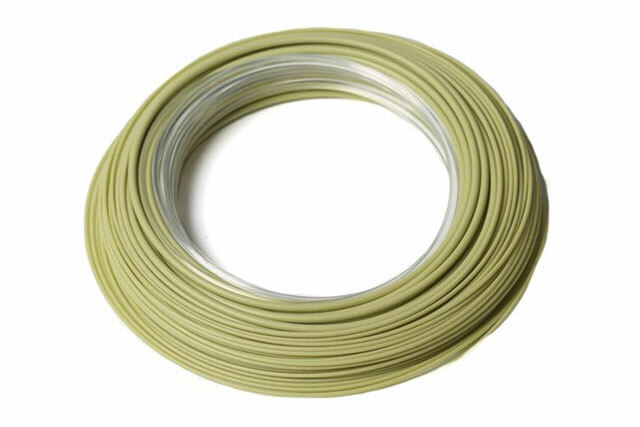 RIO Products just announced the release of their new Tropical OutBound Short F/I (“Floating/Intermediate”) fly line, which is specially designed for casting and fishing large flies in tropical conditions. The new line has a floating running section and body with a clear 10-foot intermediate tip that sinks at 1.5-2.0 inches per second. “RIO Products is pleased to introduce a new line to the highly successful Tropical OutBound Short series. The new Tropical OutBound Short F/I line is a floating line with a short intermediate tip that is great for fishing sub-surface in tropical conditions. Perfect for fishing Baja, along Florida beaches or in the Amazon, the Tropical OutBound Short F/I line is ideal for chasing peacock bass, dorado, trevally, roosterfish, jacks and other tropical species. With a short, heavy head and an aggressive front taper, it is a fantastic tool for casting large flies and making ultra long casts with extreme ease. To prevent the line from wilting in typical tropical heat, it is built on a tough medium-stiff core and features a hard saltwater coating with XS technology for the ultimate in slickness. This line also has a welded loop on both the front-end and back-end for fast and easy rigging.